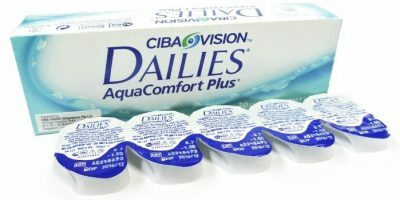 Are my Contact Lenses causing me Headache? 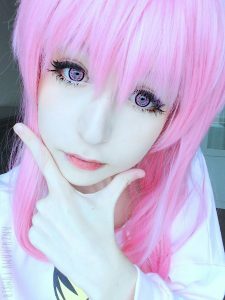 Contact lenses made from soft hydrophilic material are the most comfortable lenses ever. They allow a great supply of oxygen to let through your eyes that keep them moist & hydrated. Though contact lens manufacturers follow the average measurements when constructing contact lenses; some people may not be able to fit in the said bracket. Contact lenses can cause headaches when worn for longer duration than prescribed, are wrong prescription or an improper fit. How to diagnose what causing the Headaches? Ask yourself if you have been wearing contact lenses for more than the prescribed duration? Wearing contact lenses everyday past the recommended period may cause eye strain, heavy eye lids, dry ness & even headaches. Contact lenses when are poorly fit may create a feeling of tightness that is directly related to a heavy feeling in the head. Try switching between the brands keeping the base curve and diameter the same. If the problem persists; you definitely need a thorough eye exam. If circle contacts have never been a problem for you but for a week; chances are your vision has dropped a number. Get your eye sight checked & update your prescription. Dry eyes are also associated to causing headaches. Dryness cause you to squint & make you more sensitive to light. Constant tension in muscles can introduce headaches or may even make you feel dizzy. Use contact lens compliant lubricating drops to prevent your eyes from dryness. Working on computer with wearing contact lenses may also make you feel heavy at head. Even though contact lenses don’t necessarily increase the risk of computer vision syndrome; your eyes may turn dry due to the screen strain and glare. Headaches with contact lenses are temporary. If removing contact lenses helps in eliminating the concerns, then there is nothing to worry about. Introduce healthy life style changes to help your eyes adjust with contacts if you wear them for vision correction. It is however always a good idea to talk to your eye care professional if problem persists. He will be able to refer you to the specialist if you need additional care & attention.